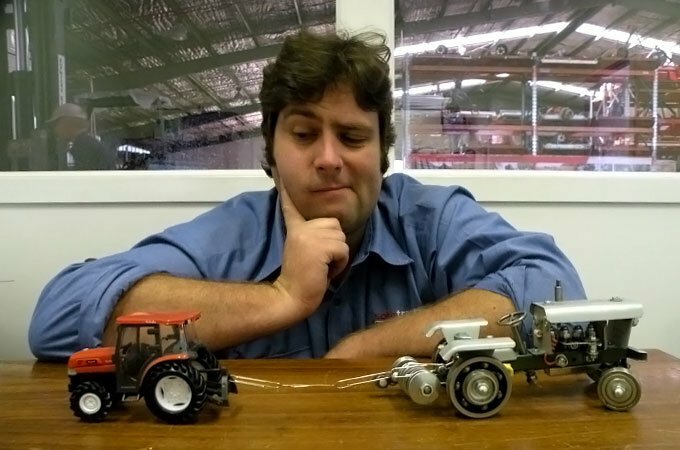 Which tractor to pick? Mark Crakanthorp demystifies horsepower. The term ‘Horsepower’ (HP) gets bandied around a great deal. So much so, in fact, I think it needs to be clarified as it pertains to small tractors. Diesel engines have several advantages over other internal combustion engines. But the most relevant to small tractors is that they can deliver much more of their rated HP on a continuous basis than a petrol engine. Also, for partial loads, the fuel efficiency of a diesel engine remains nearly constant, as opposed to petrol engines which will burn proportionally more fuel with partial power outputs. Diesels are long lasting and robustly built by design. They are also less apt to stall under load. For these reasons, particularly at the smaller end of the tractor scale, a diesel powered machine is superior. There is simply no comparison between, say, a larger 20HP petrol driven lawn tractor and a small compact diesel tractor with a similar HP rating. So, to roughly formulate what size tractor you need, you probably need to think in terms of which duty is going to require the most power. Now, slashing heavy grass (if you have it) is probably going to be the most taxing duty a hobby farmer’s tractor will see. I would arrive at a decision by considering the area that requires maintenance and the speed at which the machine will travel. Most PTO driven small tractor implements, such as slashers, utilise an industry standard 40HP rated gearbox. Any small tractor is not going to unduly stress it. What you need to do is match the size of the implement to the HP of the tractor. 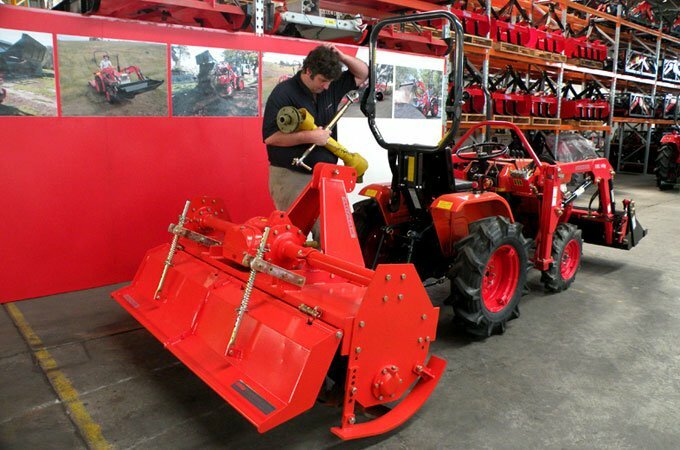 As a rule of thumb, an 18 – 22HP tractor is best suited to a 90 – 100cm slasher. A 25HP – 28HP tractor is suited to a 120cm slasher. 28HP suits 130cm. 30HP – 40HP suits 150cm. Basically, this is prescribed, so that the tractor is moving at a suitable speed – and the implement, a slasher in this case, is operating at its optimum cutting speed. Although a fairly rough and ready rule, it basically boils down to every additional centimetre in width requiring an exponential increase in the amount of HP. It is important not to fall into the trap of believing an oversized slasher will get the job done faster. You run the gambit of unnecessarily labouring the engine and power-train, or worse still, you’ll end up driving yourself mad crawling along in low range. An oversized implement is not faster – it will labour the engine and power-train. Arguably more important is weight, particularly if you require a front end loader (FEL). As the name tractor suggests, traction, a function of weight, is a rudimentary design feature. Obviously, part of the attraction of a small tractor is it’s relatively lightweight, so it becomes quite an important consideration in small tractors – especially when on steep country, or when using a FEL. Another reason weight should be given consideration is because farmers and industry people talk in HP. There has been a noticeable move to bigger HP in small tractors across the board. You need to be a little bit cautious, because if you asked what sized tractor you needed for a given FEL job, you will be given an answer in HP. Some new compact tractors are up to 10HP more than 10 – 15 years ago. Remember, a 35HP tractor back then could be pretty big, perhaps approaching two tonne with a loader. By comparison, a compact 35HP tractor would be a lot lighter and the safe working load (SWL), or capacity of its FEL would be a good deal less. 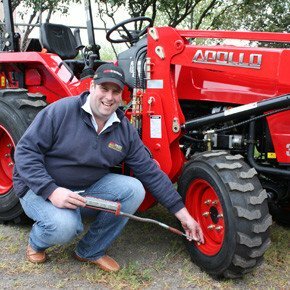 To compensate for their light weight, 4WD is a must for adequate traction with these tractors, but also consider tyres. If you are contemplating a small tractor for predominantly FEL oriented duties, such as major earthworks, you would be well advised to opt for a tractor that has bigger tyres as well as a bit of extra weight. Turf tyres are next to useless for traction which is why they are so good at keeping your lawn looking untouched. Finally, consider today’s market. The current global economic woes have certainly impacted sales in this area. The smart people have already picked over the showrooms for bargains. Once this stock is exhausted, prices will most certainly rise.